K. JAVEED NAYEEM writes: Last week, Mysore saw the passing away of a man whom most people of any substance will perhaps never miss. But the less fortunate ones amongst us, whose number is legion and who are considered a burden on society, both while they are alive and strangely even after they are dead, will perhaps begin to notice his absence from their midst very soon. Ghulam Hussain, the nondescript and soft spoken man whom I knew over the past 30 years, bid a silent adieu to this world and to his most humble and thankless existence without me even knowing that he was dead. I discovered that he was not only dead but buried too only when I picked up Star of Mysore on the evening of that fateful day of his departure. A symposium by erudite scholars on the Greatest of the Imams, Nu’man bin Thabit Abu Hanifa (May Allah have Mercy on him) was held on the 30th of January, 2010 under the title “The Legacy of Imam Al A’zam Abu Hanifa (Rahimahullah) – A sign from among the Signs of Allah (Subhanhu wata’ala)“. It has beautiful explanations & amazing insight and will clear many misconceptions that people may have regarding Imam Abu Hanifa, InshaAllah. Below is an excellent answer which deals with the issue of taqleed and thereafter is a small illustrious example of taqleed. A few good books and articles are also linked for further understanding on the subject. – Why are there differences of opinions? – Differences of opinion arising from the understanding of the Noble Qurān. – Differences of opinion arising from the Noble Ahādith. – There were many mujtahids in the past. Why do I have to restrict myself to following one of the four madhāhib? – If all four madhāhab are correct why do I have to restrict myself to only one madhhab? This next section has to do with the Muslim world on the world stage. AHM deals with the life of Muslims in the West, as well as the relationship between East and West, and how Islam circumscribes politics. He does deal with certain regions of the world by name (Europe, Turkey, India, etc.) but I will be adding those sections here shortly. 20. Remember: the history of Islam is the history of the Muslim ego. 54. If you put down your tasbih you will not pick up a rifle safely. While working on my commentary of Shaykh Abdal Hakim Murad’s Contentions, I corresponded with the noble shaykh and he shared some of his own commentary on the more difficult ones that I struggled in commenting on or thought perhaps…there was more to their meaning than the obvious. It was surprising to learn that even he forgot what some of them meant…and also great to finally know what some of the more ambiguous contentions meant. I meant to post it earlier on, but alas, forgot. Here is his commentary verbatim, reproduced by his permission. 3. Some drink deeply at the Fountain of Life; others merely gargle. The Fountain of Life ‘ab-i hayat’ is dhikr, which saves us from spiritual death. Dhikr should be internalised and enter the heart, not simply played with inside the mouth. 99 Jesus was humanly perfect; Christ was inhumanly so. 55 Christ is the Hodegetria. This section is quite difficult but I have tried my best here. I will most definitely have to review it and add more to this. And for the Jewish people that may come across this, this isn’t anti-semitic or politicized, its merely a discussion on the relationship between Islam and Judaism, hopefully it will be beneficial and lead to greater peace and understanding. Dua is the most powerful weapon of a momin! We all will be tested by Allah (SWT) and therefore we will pass through times which would seem difficult to us. But indeed Allah (SWT) will be preparing us to be strong and firm on our Imaan. At such times or occasions the best way to ask help from Allah (SWT) is the way Allah (SWT) and Prophet (SA) taught us to do. Below are some Dua/Ayah with their translation which we must recite at the time of difficulty to seek tauba and help from Allah (SWT). Please share your information and knowledge for the same purpose using the comment section. You can also Download The PDFand save it to your computer. Look at how easy or difficult it is to do different actions that are pleasing to Allah (reading qu’ran, giving sadaqa, qiyam, siyam, etc). If you are so happy and take great pleasure at performing these acts, and it is easy for you – this is a sign that you are close to Allah. Islam.. religion of peace and love! Isn’t Islam intolerant of other religions? Tolerance is the attitude that should govern the dealings of all people with one another. Religious tolerance is an essential principle of Islam and Muslims are ordered to have good relations with people of all religions and be kind and courteous to everyone. Muslims are ordered by the Qur’an to uphold their promises and agreements with non-Muslims and not betray or transgress against them. The lives, families, properties and honor of non-Muslims must be protected under any government that claims to apply Islamic law. Non-Muslims are also guaranteed the right and freedom to practice their own religions in an Islamic state. All praises and glory be to Allah who is Al-Hayy, the Living, who has complete and perfect power, and exists without dependence upon anything else. He alone is the sustainer of the inhabitants of the heaven and the earth, and the One who regulates their affairs and provisions. He is not subject to drowsiness or sleep and He is exalted far above all form of weakness. We on the other hand are created with many forms of inherent weakness, such that we need to turn our Lord and ask Him for assistance in all of our affairs. All praises be to Allah who is known by the Beautiful Name al-Qayyum, the Self-Sustaining. He is the One who has perfect power, existing in and of Himself, not being dependent on anyone or anything in any way. He is the sole sustainer of the inhabitants of the heavens and the earth. He is the One who regulates all of their affairs and provisions. His Beautiful name al-Hayy, the Living, includes all of the Attributes of His Self and the name al-Qayyum includes all the Attributes of His Actions. Almost All Over word peoples believe that ‘786’ is very important for Muslims.I know few peoples know the truth. In Movies,TV serials shows,those have 786 in anything,they get help from Allah during problems. Car No,Mobile No,Telephone No haveing ‘786’ is sale in very high rate. without ‘786’ @ Cost 200 INR . Its 5 USD. with ‘786’ @ Cost 5000 INR,around 100 USD. and those peoples are Muslim and NON-Muslims,Non-Muslims pays extra to get this nos. so,What is the Importance of ‘786’ in ISLAM. 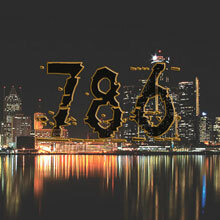 Muslims says 786 = ‘Bismillaah al-Rahmaan al-Raheem’. Is this really Imp no? think “Bismillah” contain the name of GOD ‘ALLAH’. Can a Number replace the Holy Name of Allah Subhanwan Tala. by 786? can we remove ‘Bismillaah al-Rahmaan al-Raheem’ from the top of Surah al-Faatiha and replace it with the number 786? admin cmnts : She converted to Islam in late 2010,but we didn’t had any idea about this.i never saw this news before,anyways,lets read what happened . The recent passing of Michael Jackson, The King of Pop, has many people around the world talking…and mourning. It even has the Muslim world a buzz asking “Was Michael Jackson really a Muslim? ?” Well, there have been reports from The Telegraph, etc saying he converted in November 2008 with the help and guidance of his older brother Jermaine. Allahu Alim (Allah knows best) whether he was or wasn’t. There are multiple reports coming from religious leaders confirming that Michael Jackson was Muslim. Most notably, they come from Imam Zaid Shakir who said he has reliable sources, and Imam Johari Malik who said CNN reported an Imam will be visiting the family for janazah arrangements. We’ll keep you posted of any more news as well as any updates on if Jackson will indeed be receiving a Salatul Janazah. There once was a horse that fell into an abandoned well. His owner wanted to get him out but when he calculated the cost and effort and contemplated what he would have to do and everything the task would involve and the result of that, he came to a conclusion. He figured that the horse is too old and the well is abandoned. So, it would be easier just to buy a new horse and fill up the old well. Therefore, the plan was made. The man went around to his neighbors and asked them to help him. So, they all gathered at the well and began shoveling dirt onto the horse. Well, the horse started going crazy, whining and sreaming and stomping. Suddenly, the sound dissappeared. The horse’s owner leaned over the well and looked down. He was amazed at what he saw. Islamic spirituality: Purification of heart from seven diseases & love of Allah.